Wide-format software specialist Caldera has announced the launch of a new web-to-print solution developed specifically to meet the needs of sign and display printers. WebShop will help large-format users to promote their products online, reduce the time spent on the sales process and increase the number of jobs coming in. 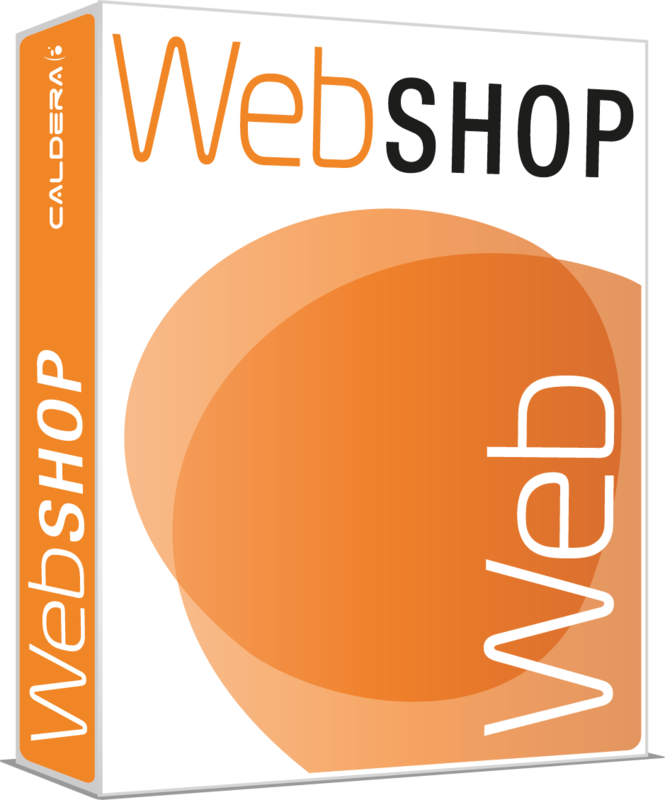 Based on the popular Magento e-commerce solution, Caldera WebShop is a full-featured solution that provides users with the freedom to tailor their online store to suit their individual needs. 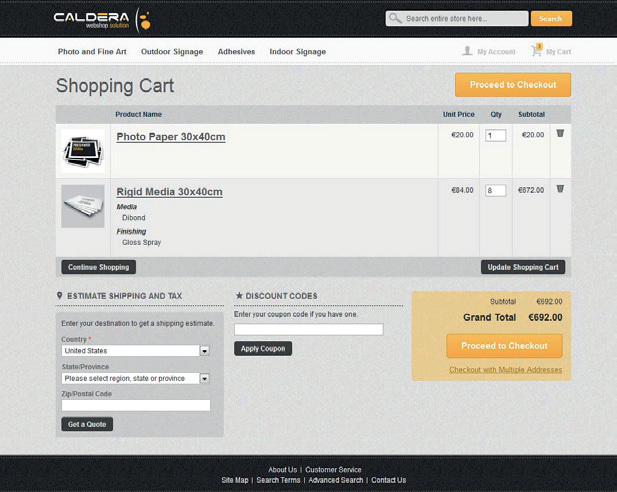 The SaaS product can be integrated with Caldera’s Flow+ and RIP solutions to provide a complete sales-to-production system. Highlights include the ability to create multiple shops, with different products and prices for specific customers or target markets, and various product categorisation features with unlimited numbers of categories and sub-categories supported. The Simple Product listing is the basic format, and this can be expanded with several additional options. Grouped Product enables the customer to purchase a pre-defined selection of products with one click, while Configurable Product offers the ability to fix a price for a combination of Simple Product purchases. Sales of intangible services are catered for with the Virtual Product type, and users can also offer a Downloadable Product. Lastly, the Variable Size Product, designed especially for wide-format print houses, is an option enabling the customer to choose the size of product they want, with a more complex pricing mechanism that can calculate a price according to factors such as the number of items or the total printed area. A Dashboard interface offers direct access to important information for production and sales teams, such as the average order value, the most recent orders, the best sales, most popular products and new customers. Orders, invoices and shipping are managed via a sales portal, and WebShop also includes a customer database management system, which allows customers to be grouped. In addition, a newsletter function helps PSPs to keep in touch with their web customers, offering templates and subscriber management. A number of reporting options are also available, such as sales, shopping cart, product and customer statistics.